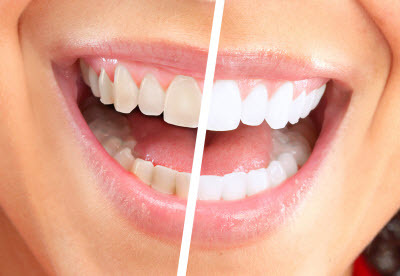 Teeth whitening is one of the most convenient and popular cosmetic improvement options available. While your local pharmacy carries a variety of over-the-counter products that offer minor improvement at best, none provide the bright and long-lasting results of professional whitening treatment recommended by your dentist. At Gregory D Wilcox, DDS, our dedicated team derive considerable satisfaction helping make patients’ teeth more attractive. For forty-plus years, we’ve built a trusting relationship with patients wanting to enhance the aesthetics of their smile with professional teeth whitening. Contact our friendly and attentive dental office in Davis today to schedule an appointment. Opalescence® is a professional grade whitening system that uses customized clear bleaching trays to discreetly and comfortably lift stains so you can achieve a beautiful appearance and renewed confidence. The trays’ sleek design ensures the whitening gel remains in constant contact with the tooth surface for optimal results. To achieve your desired look while still being mindful of tooth sensitivity, Opalescence offers bleaching gel in several different strength levels. The milder six percent mixture improves the shade of teeth when worn for 60 to 90 minutes a day over the course of five to ten days. The stronger solutions are great for those who experience less sensitivity, as they can significantly lighten the enamel’s shade in less time. All strength levels of the whitening gels used contain potassium nitrate and fluoride, so tooth enamel is protected during treatment. Our Davis dental practice recommends Opalescence Go so patients can brighten their smile effectively from home. This product is not only more cost-effective than some of the in-office bleaching options, but Dr. Wilcox offers it as a complimentary service when our patients undergo a more significant treatment plan. The take-home whitening kits require two short appointments with our office before you take over the treatment process. First, Dr. Wilcox designs your custom bleaching trays so they offer a precise and comfortable fit. At your next appointment a few days later, we help you administer the first treatment so you can effectively improve your smile on your own moving forward. We often combine the first part of whitening treatment during patients’ cleanings and exams to help make the process more efficient. Dr. Wilcox understands how achieving a beautiful and radiant smile can help transform our patients’ lives. This is why our team proudly offers Opalescence take-home whitening products for our patients in Davis, Woodland, Dixon, and Winters. Call us today to schedule your appointment!